This cabinet card portrait features a well dressed older man with a long mustache and wiry beard. He has the expression of a person who has seen and experienced a lot in his many years. He looks a bit drawn and tired. The gentleman was photographed by Laighton Brothers studio in Norwich, Connecticut. The Laighton Brothers are cited in the book, “Leading Business Men of Norwich and Vicinity” (1890). At the time of the directory’s publication, William S. Laighton had become sole proprietor of the studio upon the death of his brother John. William was a native of Farmington, New Hampshire. William’s obituary appears in the Bulletin of Photography (1915). The brief article reports that he had died as a result of a fall in his studio. At the time of his death he was 76 years old. The article also mentions that he had been living in Norwich since 1874. 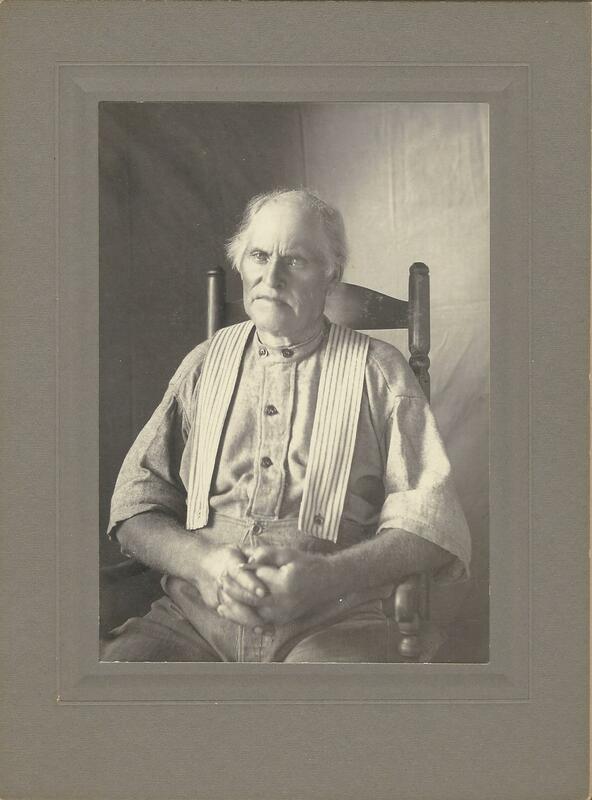 This cabinet card portrait features an older gentleman with long grey hair and and grey mustache and beard. His hair is unusually long. He is handsome and has a very kind face. The gentleman has piercing eyes. He is formally dressed. This studio photograph was taken at the Essery studio in St. Paul, Minnesota. Robert W. Essery (1845-1886) was born in Prince Edward Island, Canada. He operated studios in St. Paul between at least 1873 and 1885. His business was located at the 211 East Seventh St address seen on the front of this photograph between 1883 and 1885. At one point his studio was known as Sun Beam Gallery (partnered with Charles W. Stiff). 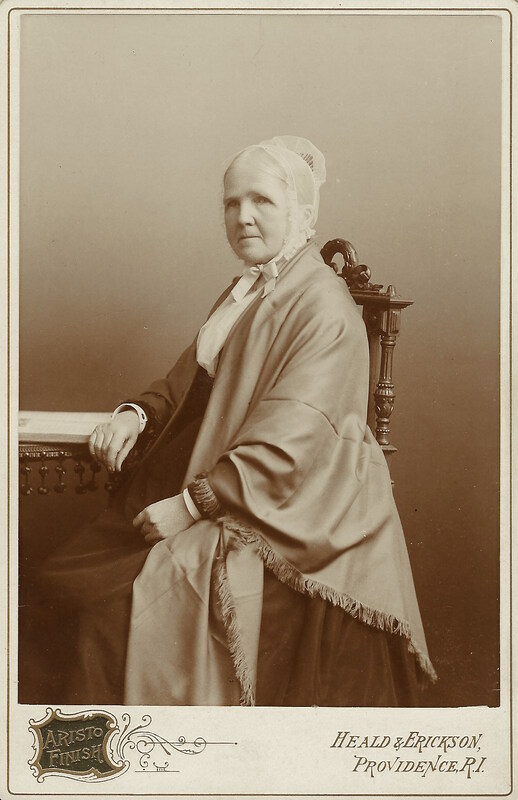 After Essery’s death, his wife Ida ran the Essery Photograph Gallery. 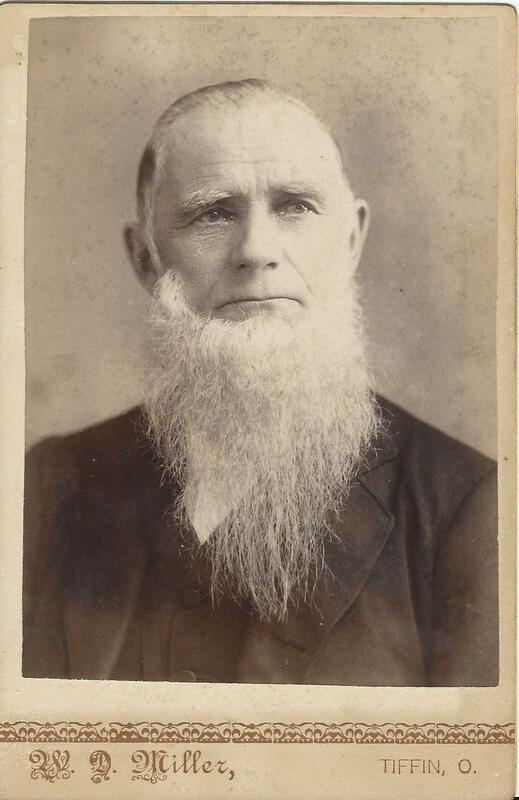 This cabinet card portrait features a well dressed handsome older gentleman with a wonderful long white beard. The man has striking eyes. They are bright and soft and he projects a certain sweetness and friendliness. This photograph was produced by the Dabbs gallery in Pittsburg, Pennsylvania. Benjamin Lomax Horsley Dabbs was born in London in 1839. He immigrated into the United States while still in his childhood. His father was a pioneer in the American photographic supply trade. Dabbs learned the photography field from his father, George Dabbs. Benjamin came to Pittsburgh in 1861 and opened a business selling photography supplies. That same year he also bought a gallery from a Mr. Rorah. He grew the business dramatically and in 1869 he sold his supply business to concentrate on being a photographer. During his tenure as a photographer in Pennsylvania, he was considered by many to be the best photographer in the state. In 1868 Dabbs married Sadie Dickson and the couple ultimately had nine children. Dabbs was a close personal friend of Abraham Lincoln and steel magnate Andrew Carnegie. Dabbs drew some attention for his stance on free resittings for customers who were not satisfied with the portraits taken by his studio. Unlike many other photographers, he refused free resittings because “the public do not value what they can get for nothing”. In his later years, Dabbs was debilitated by rheumatism and other illness. He died at age sixty in 1899. His celebrated portrait of Andrew Carnegie can be viewed today at Pittsburgh’s Carnegie Museum of Art. 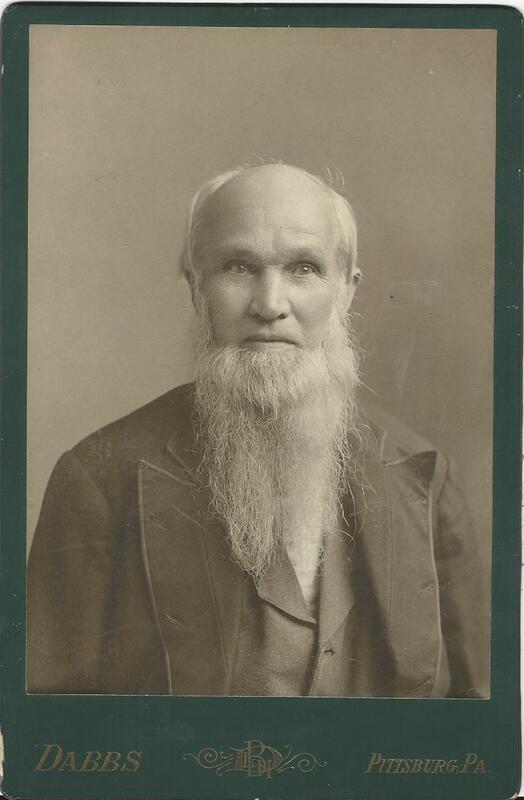 An old man with a long pointy wispy beard poses for his portrait at the studio of W. D. Miller in Tiffin, Ohio. The elderly gentleman has a knowing but far away look in his very expressive eyes. He is well dressed for his day at the photography studio. William D. Miller operated a photography business in Tiffin from 1881 through 1887 and then again from 1897 through 1908. 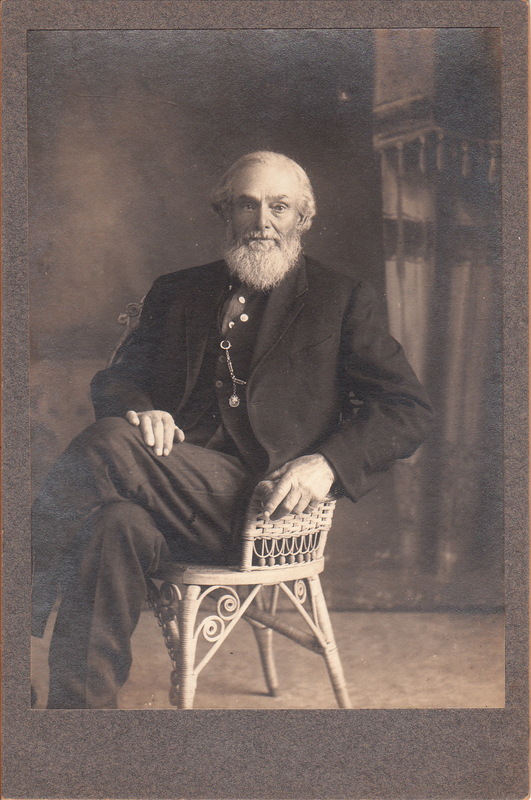 An elderly man sits legs crossed on a wicker chair as he poses for his portrait at an unidentified photographic studio. Note his pocket watch and silvery beard. The reverse of the photograph identifies the subject as “Uncle Andy Norton”.